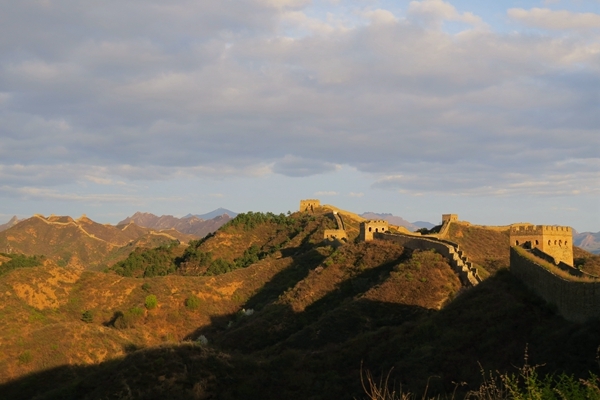 An epic Great Wall trek that covers 4 fantastic sections of the Great Wall. 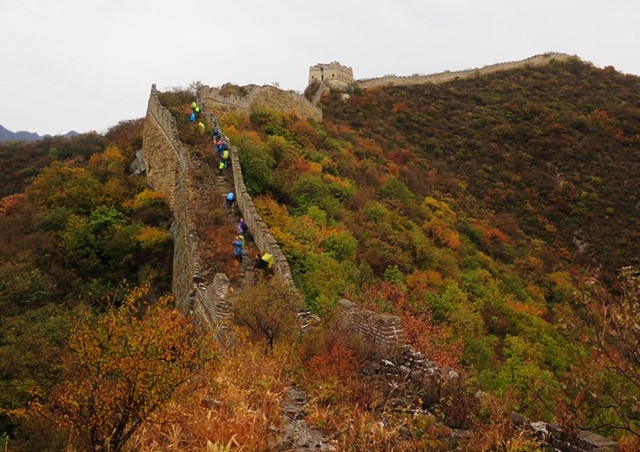 We will hike the amazing wild Jiankou Great Wall, the wild Gubeikou Great Wall and finish in style with a trek to Wild Jinshanling Great Wall, over the restored section of Jinshanling all the way to Simatai Great Wall. 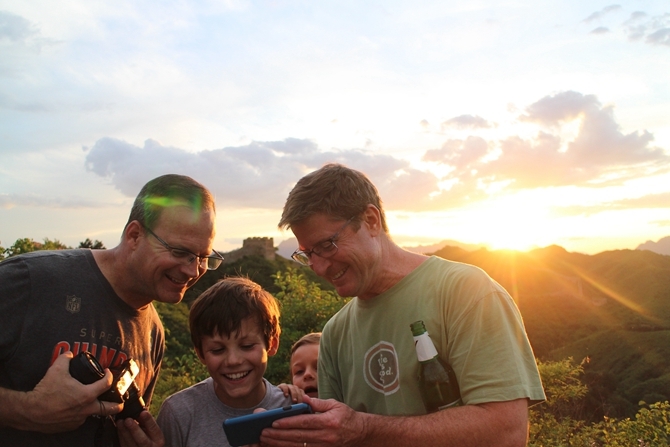 We will stay at a local farmhouse with views on the Great Wall for two night. 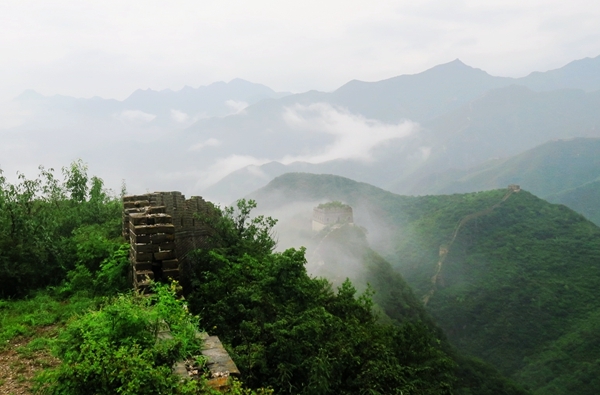 We will hike 10-km on Jiankou wild Great Wall, pass numerous watchtowers overgrown by flowers and trees. 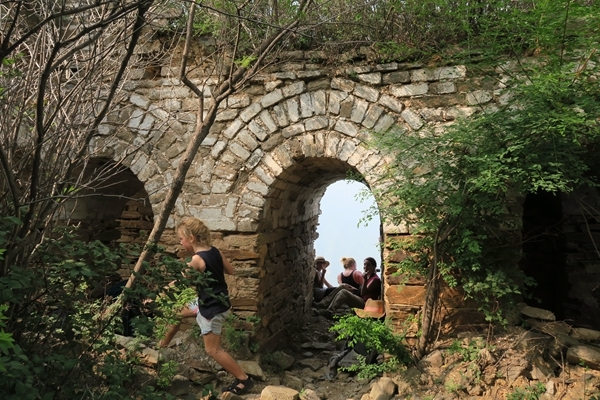 It is a 10-km hike with a total ascend of 600 meters, so you’ll need a fair bit of energy. 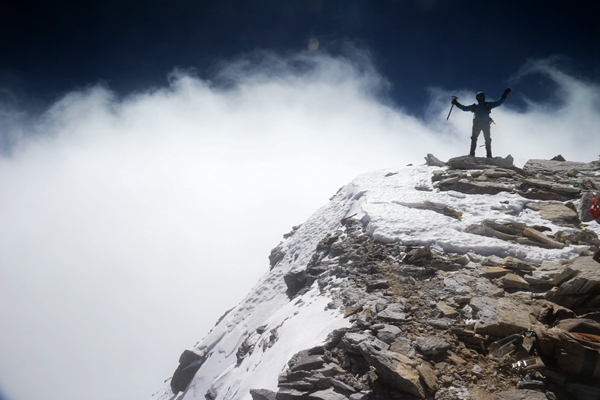 But your efforts will be rewarded because this trail is a mecca for photographers. 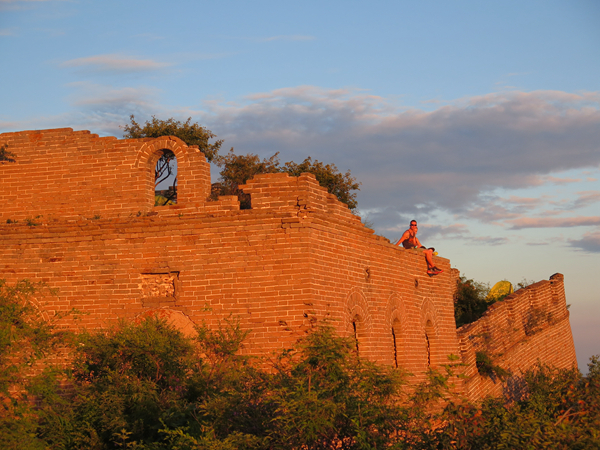 We will stay overnight at an authentic farmhouse with view on the Jiankou Great Wall. 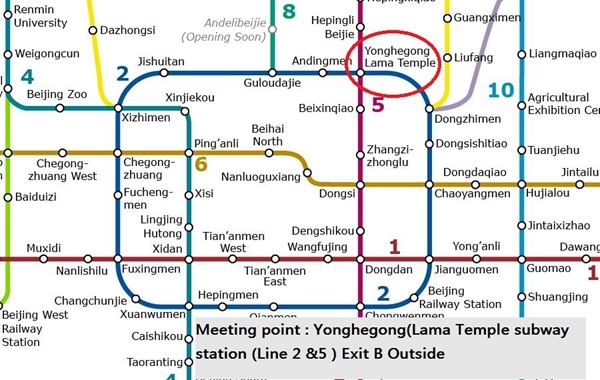 After a 2 hour drive from the meeting point (Lama Temple Subway) we arrive at a local farmhouse in the middle of a chestnut orchard where we enjoy a royal organic meal. 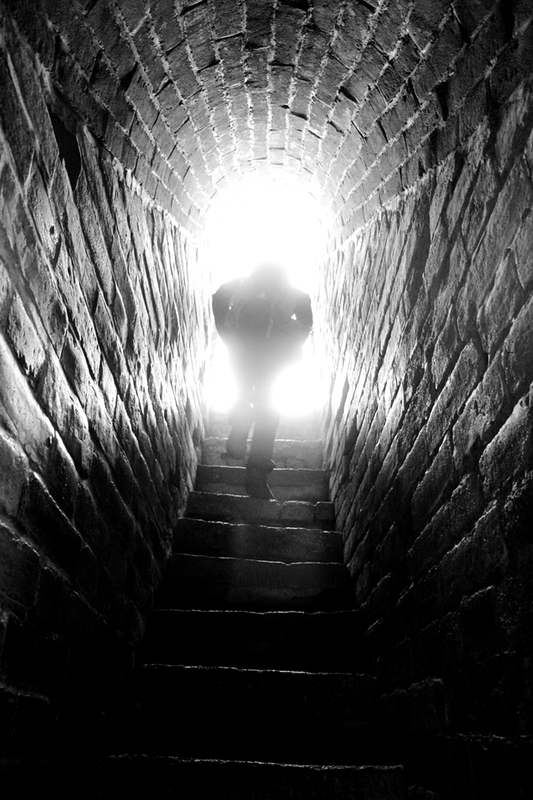 Once lunch is finished your adventure begins. 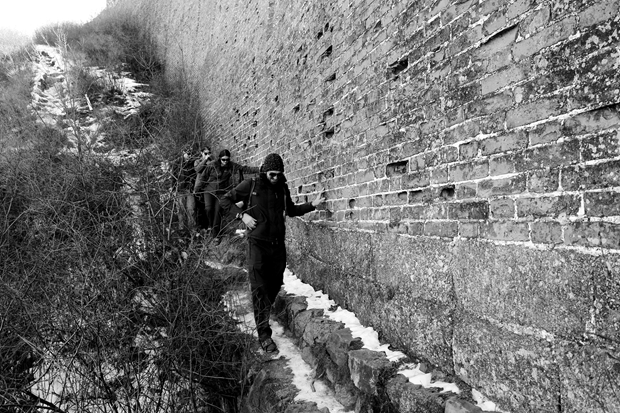 The start of this Jiankou Great Wall hike as immediately amazing. 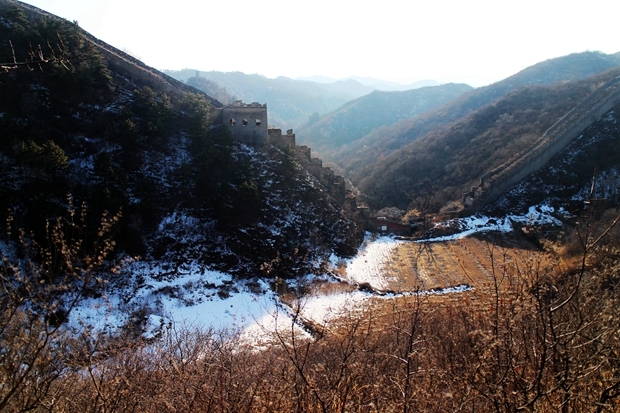 The Great Wall drops down into WangQuan valley and climbs back out almost vertical. 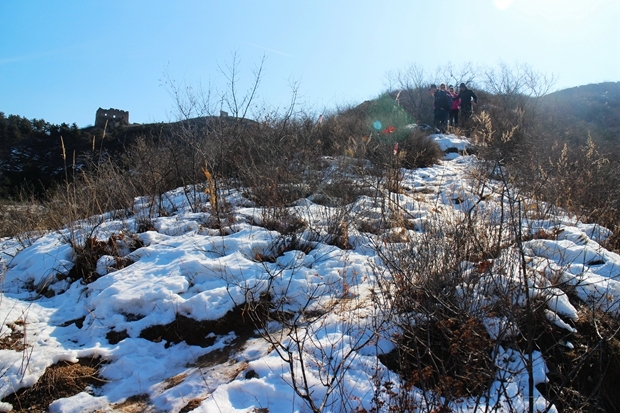 We will follow a mountain trail next to this drop off for about 1 hour until we reach the Great Wall at second beacon tower. 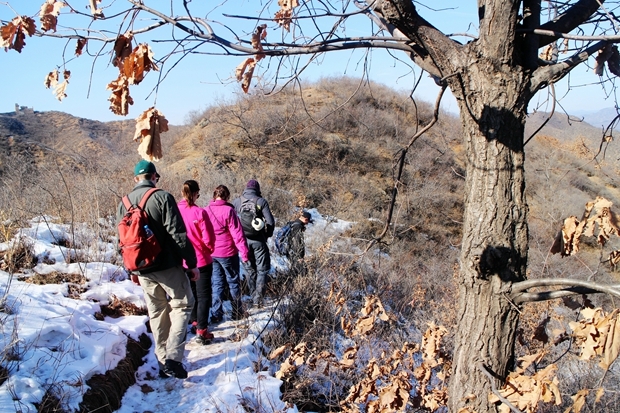 During the first part of this hike we will climb about 500 m but once on the Great Wall most of the uphill hiking is done. 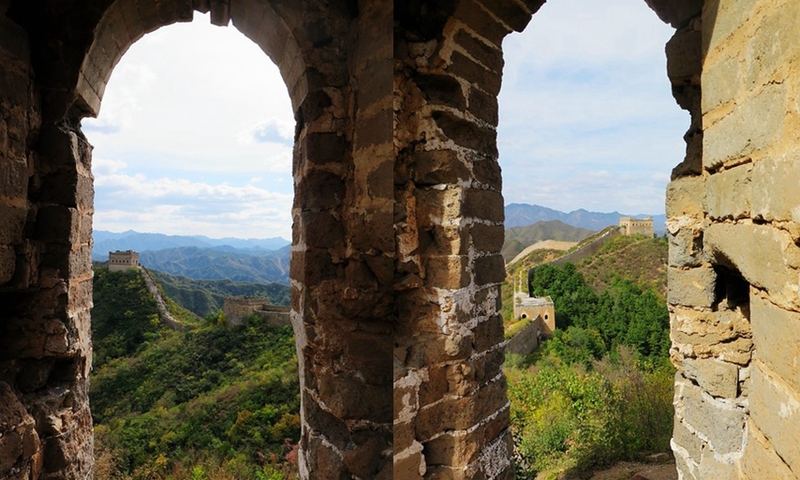 As the hike continues on top of the Great Wall you enjoy fantastic views of famous Great Wall sections as ” The Wall Bow “, “Arrow Nock” and the “Beijing Knot” We pass 7 beacon towers on this section on the wall, the best preserved ones are called the 5 eye watchtower and the Jade tower. 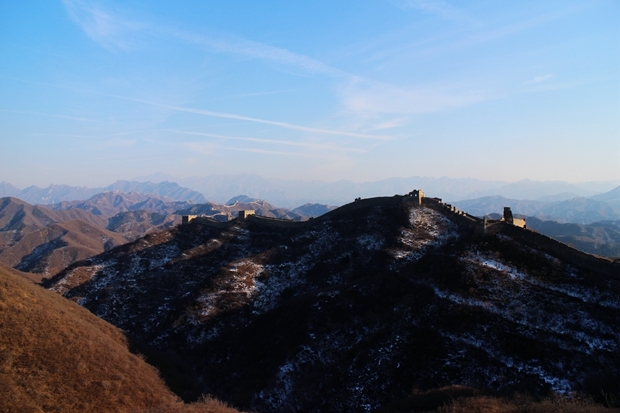 After taking some nice pictures on the rooftop of the 6th watchtower, we follow a small path down the mountain. We will spend the night at a cute local farmhouse that will welcome us with spread of local dishes. 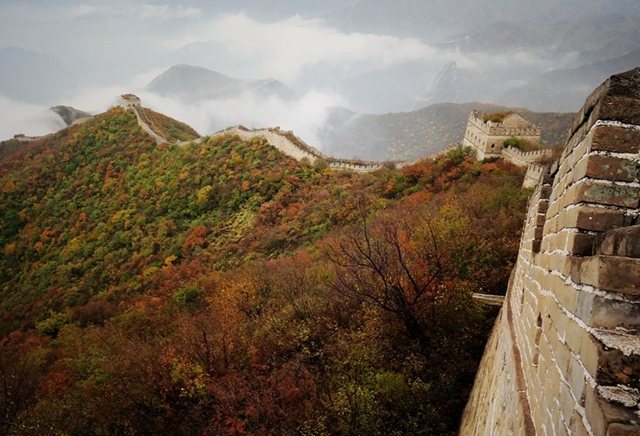 A 12-km hike from the authentic fortresses of the Gubeikou Great Wall to wild Jinshanling Great Wall. 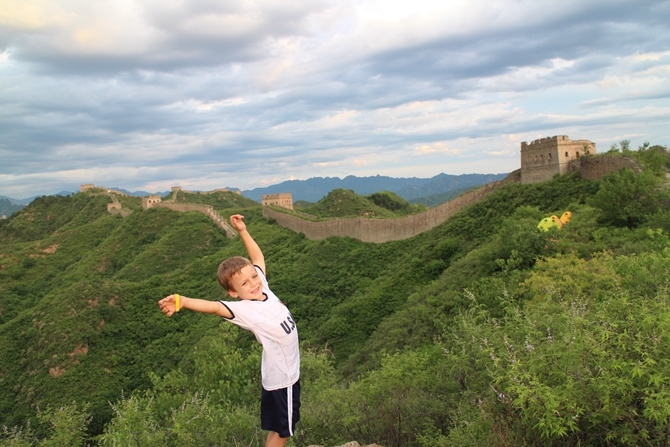 The scenery here is stunning and the photo opportunities are endless. 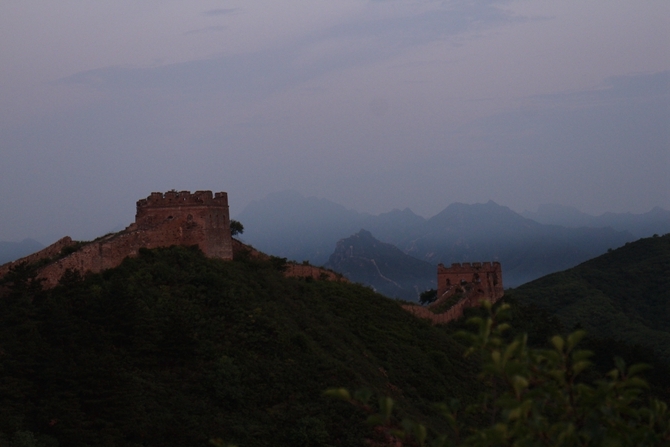 After a good breakfast, we get back in the van and go for a 2-hour drive through countryside to Gubeikou Great Wall. 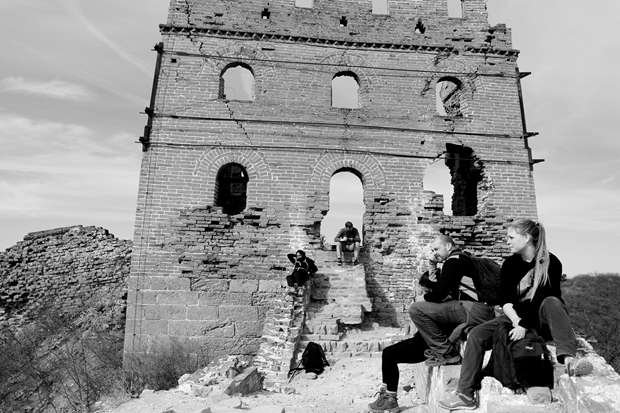 We will bring you to our friend from the local village that lives right next to the Gubeikou Great Wall. 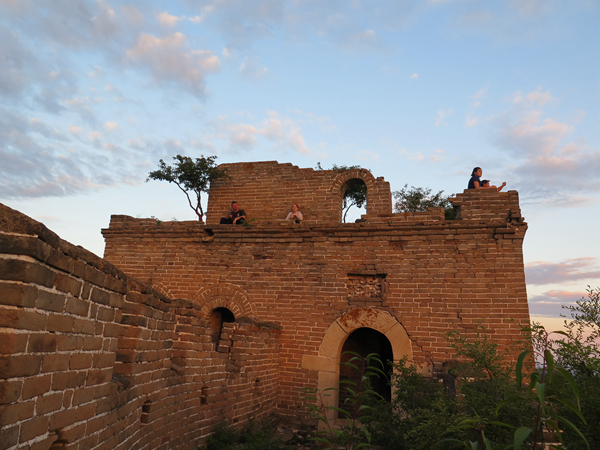 The lady of the house is probably the best local chef we have ever met and she will serve you great organic food on her terrace with view on the Great Wall. 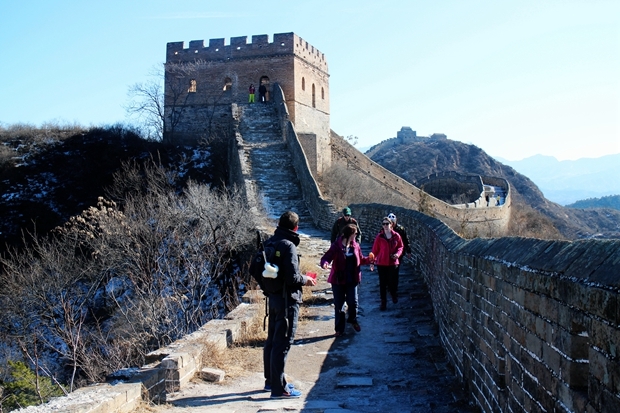 After lunch, we start our hike on Beijing’s oldest Great Wall. 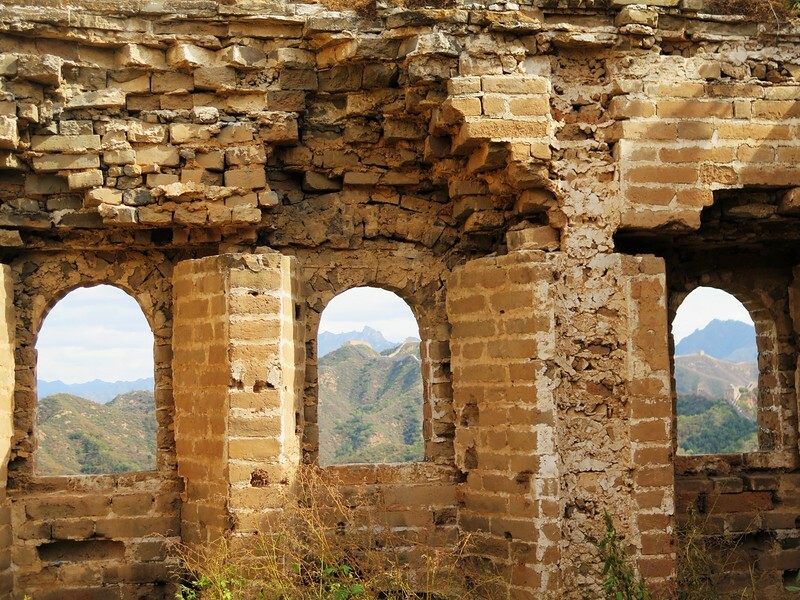 The Winding Dragon section of the Gubeikou Great Wall is over 1500 years old. 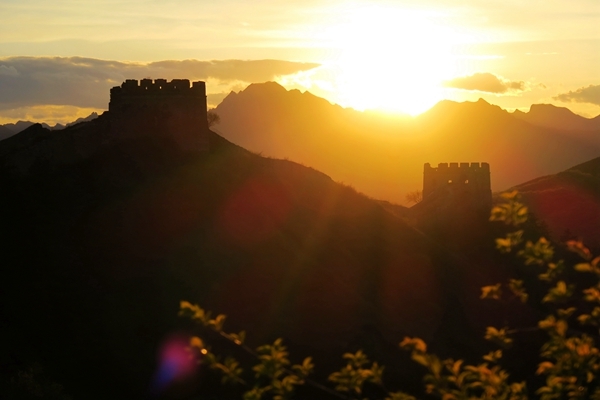 As we hike on the Great Wall, the scenery will become more and more stunning. 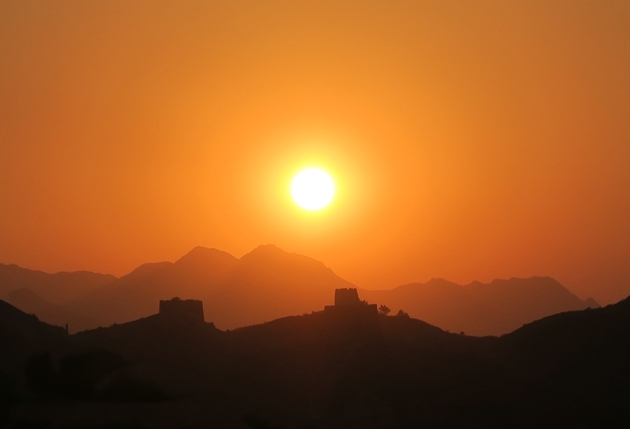 Once in a while, we climb on the rooftop of the watchtowers, have rest and take some memorable pictures. 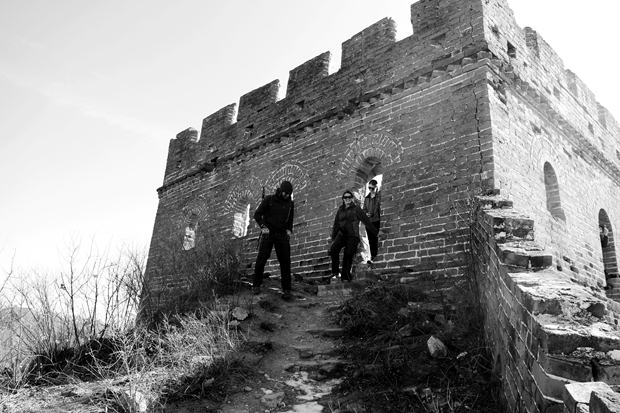 We reach at the Gubeikou’s General Tower after a 6-km hike. 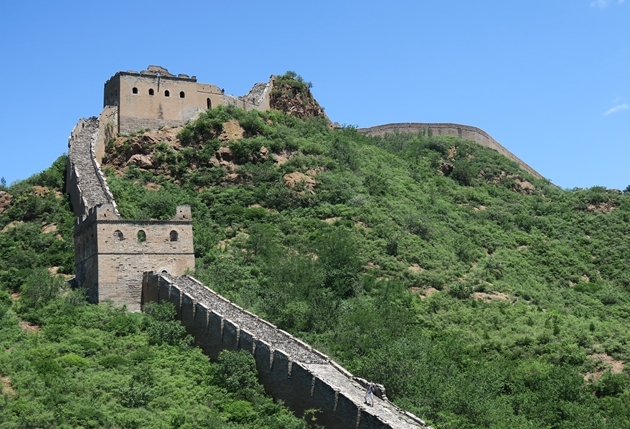 It is a massive tower with views of the whole Gubeikou Great Wall, the Jinshanling Great Wall and even the Simatai Great Wall. 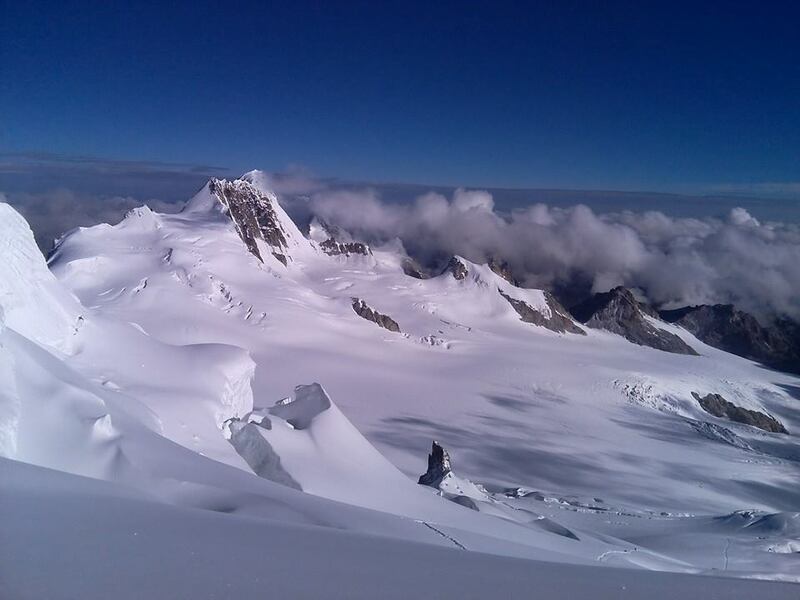 It’s the highest point of today’s hike and a magical place for pictures. From this 2-story height watchtower, we head down to a small dirt trail that leads to a local farmer who will serve us an excellent dinner. 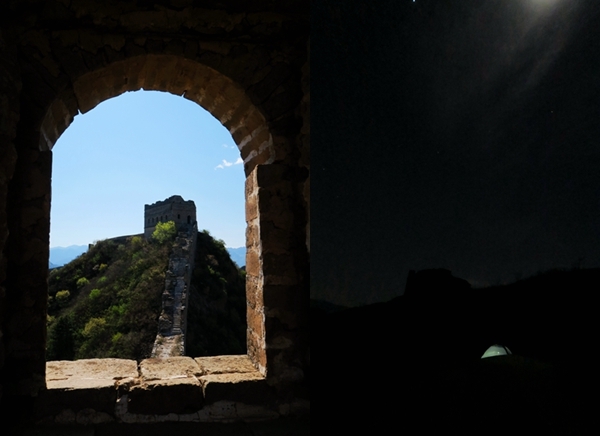 Here we stay overnight at the farmhouse with view on the wild Jinshanling Great Wall. 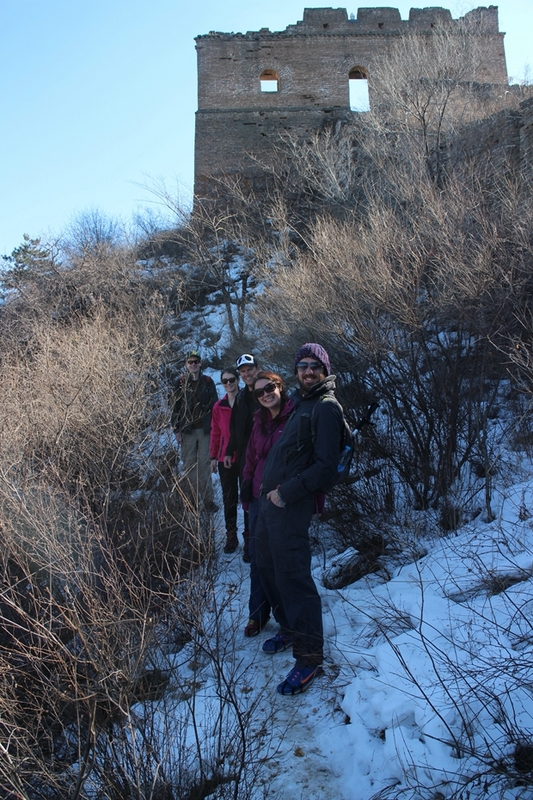 After a good local breakfast, we start hiking again and within 20 minutes we set our first steps on the Wild Jinshanling Great Wall. 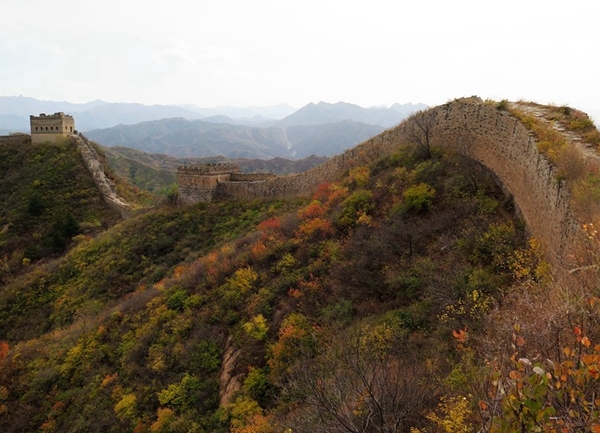 The 10-km long Jinshanling Great Wall shows some amazing defensive features like barrier walls, battlement walls, watchtowers, gun emplacements, shooting holes, horse blocking walls. 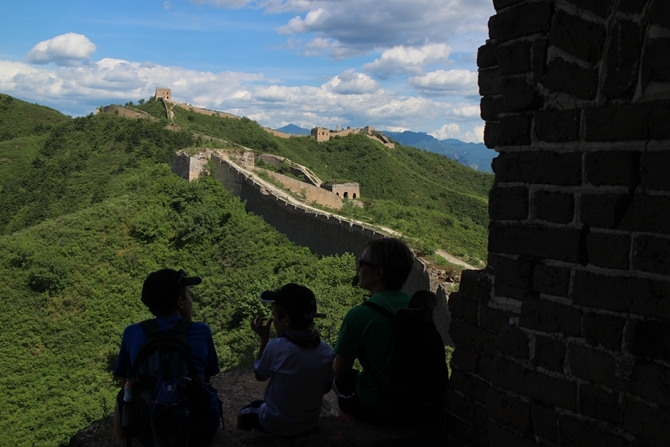 We hike down on the crumbled section of the Wild Jinshanling for about 30 minutes till we reach the most famous and best preserved section and partly restored section of the Great Wall. 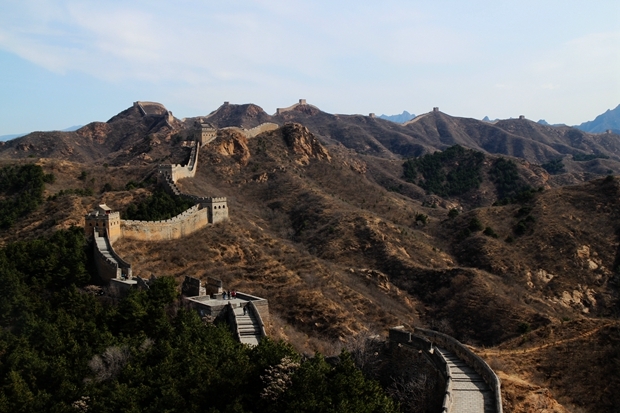 Here you can see how the Great Wall of China looked like during the Ming Dynasty. The last part of our hike is all the way uphill again. 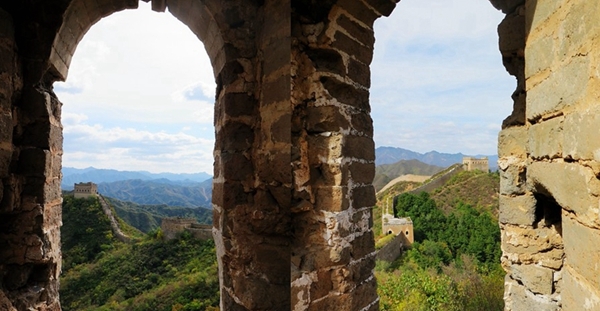 We will pass the General Tower with its intoxicating views over miles and miles of Great Wall and head for the last of the 67 watchtowers of the Jinshanling Great Wall. 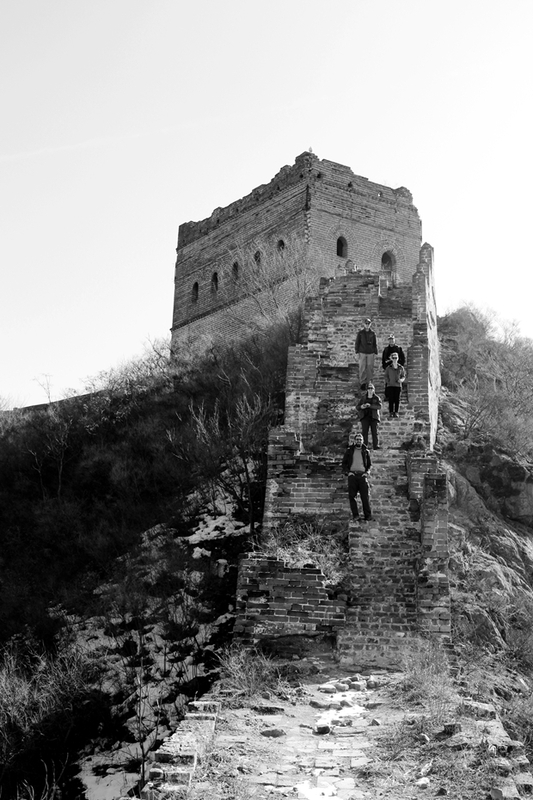 We reach at the Simatai Great Wall. 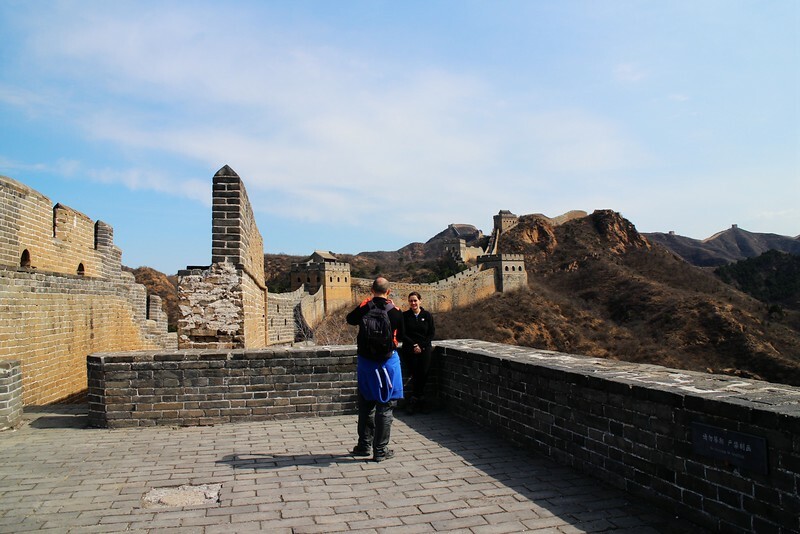 We visit 4 more towers on the Simatai Great Wall and take a last spectacular picture of the Fairy tower, which is the highest tower on the Simatai Great Wall. A small trail through the forest will bring us to the end of the valley where a good lunch awaits us. After lunch, our driver will drive us back to Beijing. 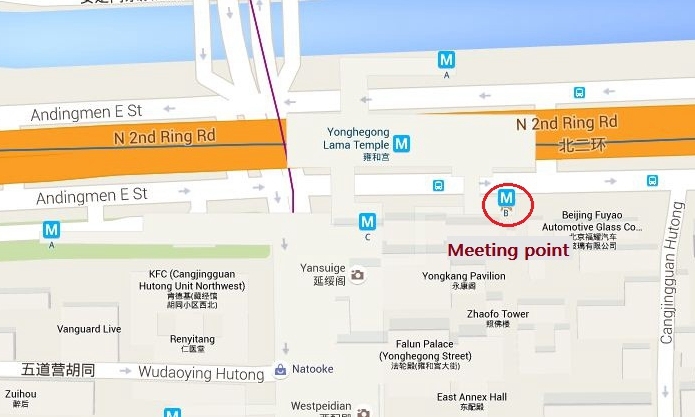 We will be back at our Lama Temple meeting point at 4 pm. 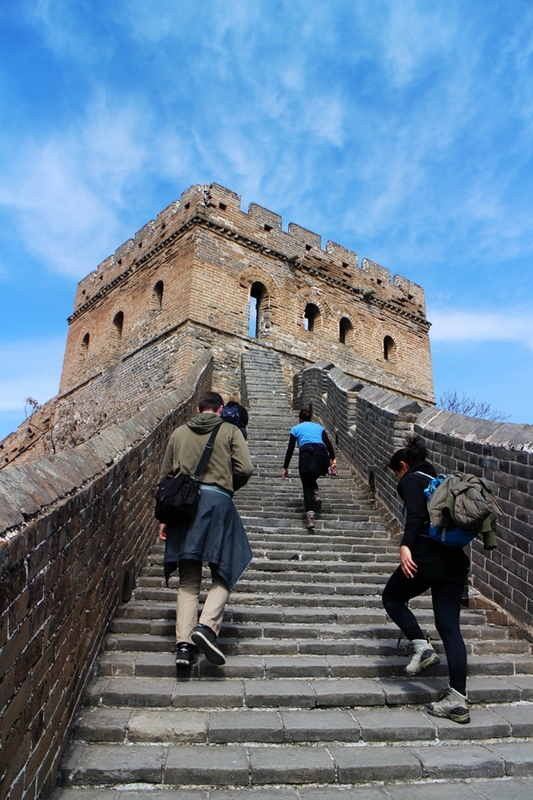 We rate this hike level 4 because it’s a long 3-day hike where you for sure will feel your leg muscles after the climb to the Jinshanling staircases on day 3. 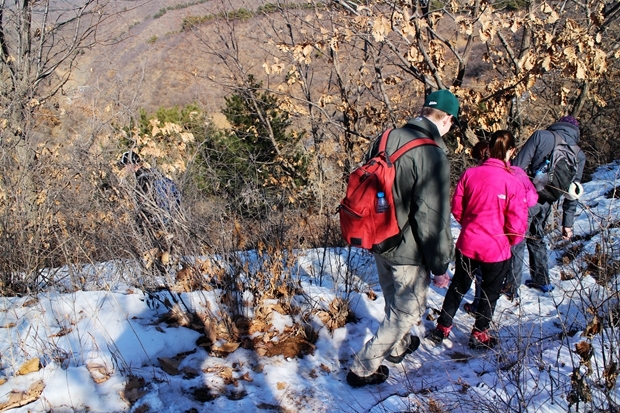 The first day hike includes a good uphill hike with backpacks but the hike is not too long. 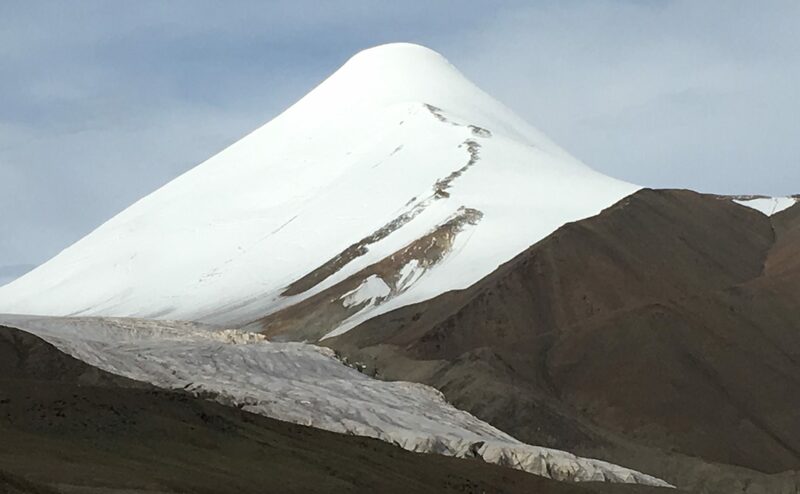 Everybody with a normal physical condition can do each day trip, but for completing the 3 days hiking trip with a smile you’ll need an above average physical condition. 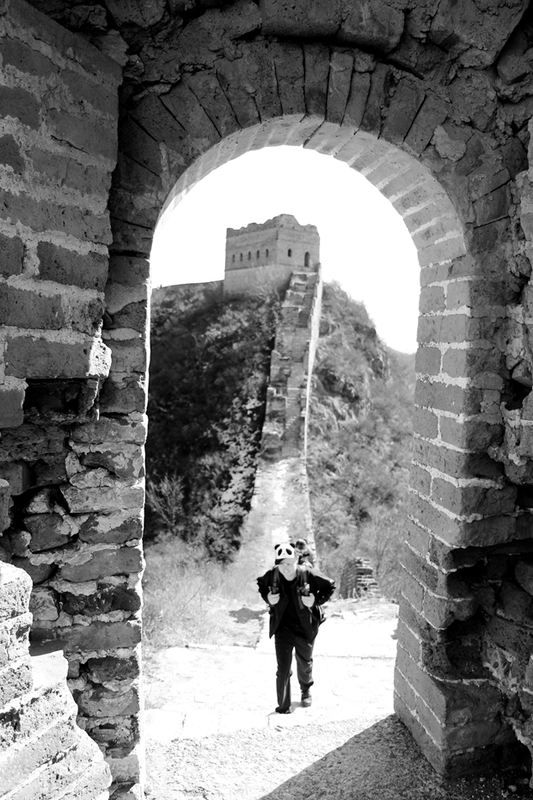 There was a general passing by this section of the Great Wall with his beloved horse for his duty. 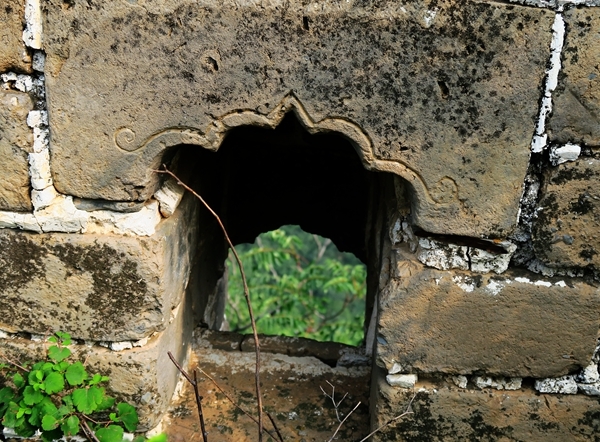 Due to the hardship of the journey, the horse died on this part of the Wall. 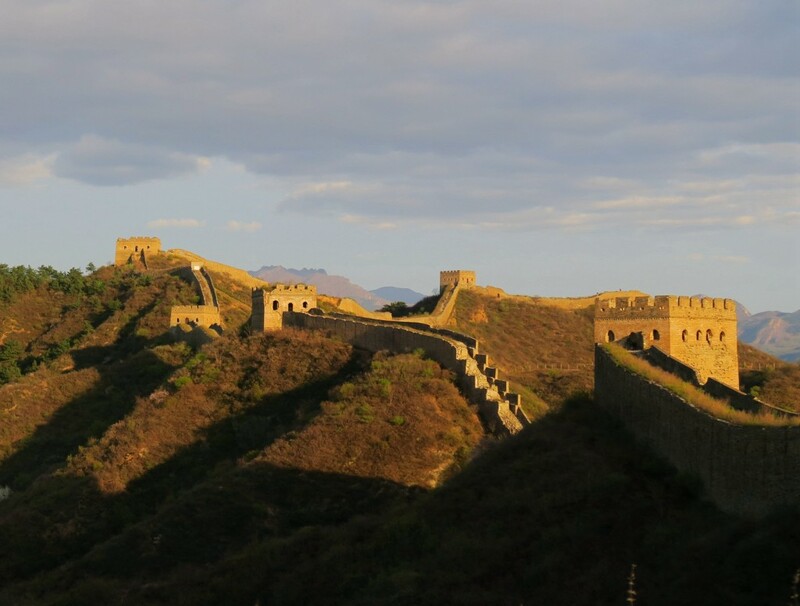 In order to remember the horse and its loyalty, the general named this part of the Great Wall “simatai”(死马台), which literally meant “dead horse platform”. The Chinese character “死” (si) meant “dead”, people changed the Chinese character to “司” (si), because (死) has an ominous meaning. 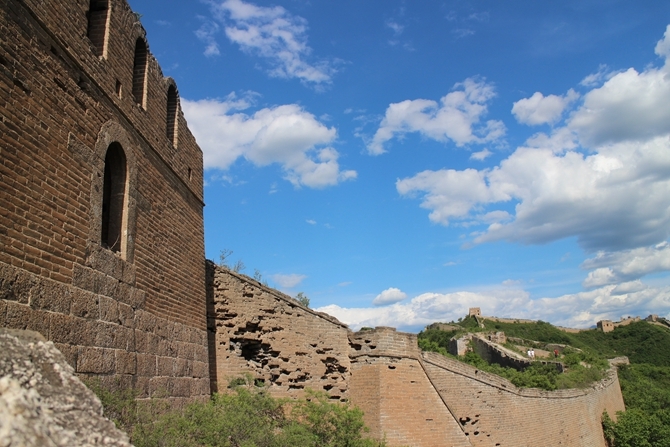 The Simatai section of the Great Wall is located in the northeast of Miyun county,120 kilometers from downtown Beijing, holds the access to Gubeikou. 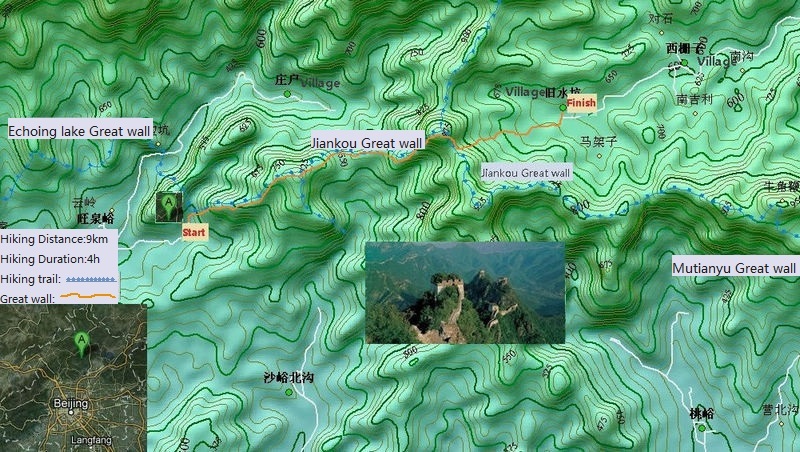 It is cutted into two parts by the Simatai Reservoir, over which there is a chain bridge running through east to west. 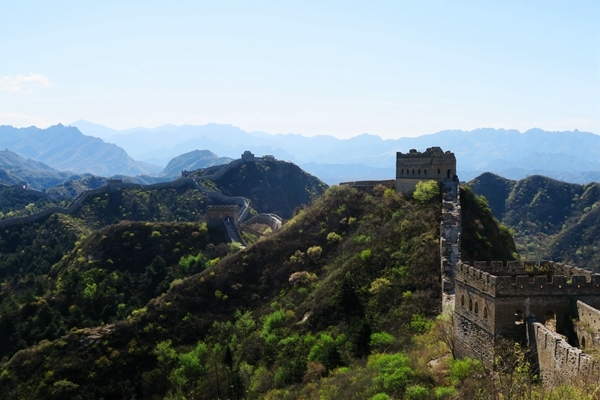 It was first built under the supervision of general Qi Jiguang in the early Hongwu years (1368-1398) of the Ming dynasty. 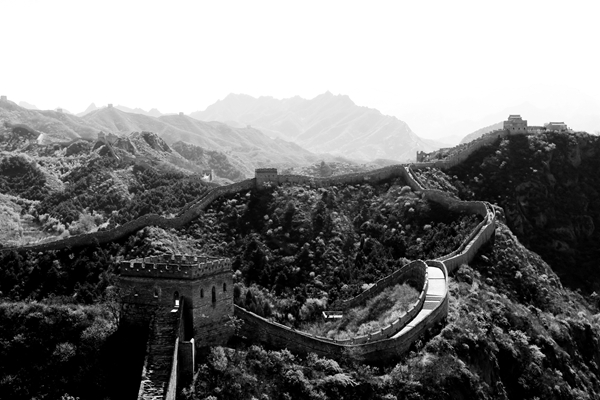 It is one of the few stretches of the Wall that still preserve the original look of that period. 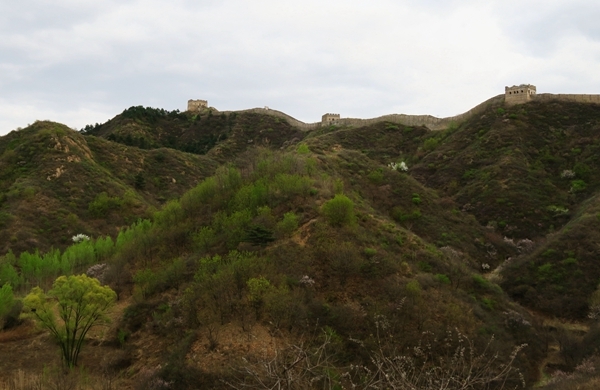 The Simatai Great Wall is 5 km long with all together 35 watchtowers with its unique features that cannot be found nowhere. 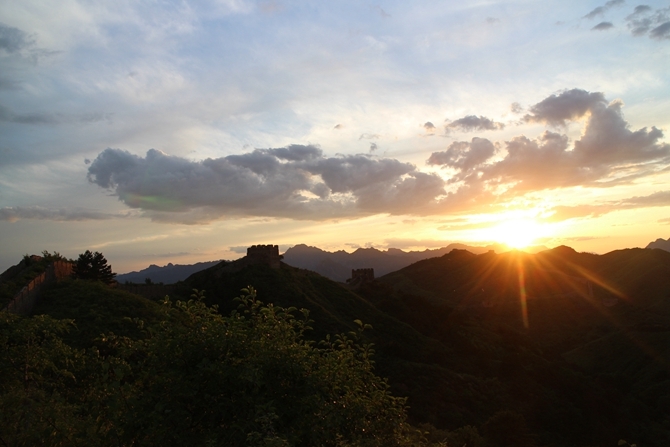 To the west there are 20 watchtowers snaking on the sloping hills which are all well preserved. 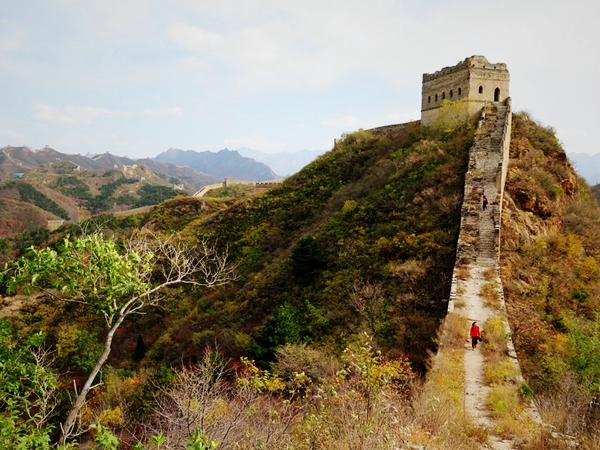 To the east there are 15 watchtowers atop peaks up to 1,000 meters high. 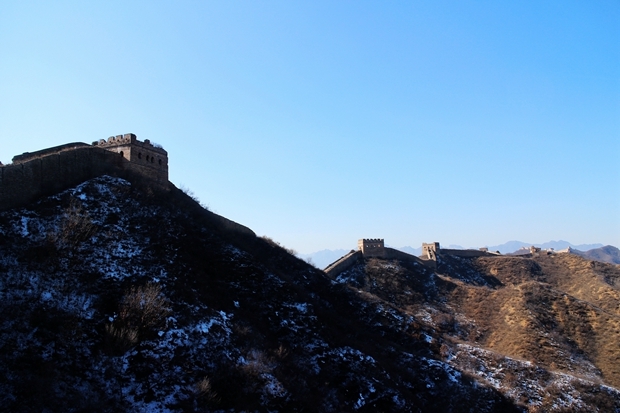 The watchtowers on the Simatai Great Wall show a elegant design and different structures, among which the most famous are the Wangjinglou (Watching Beijing Tower), where you can have a bird’s’ view of the lights of Beijing at night in the distance. 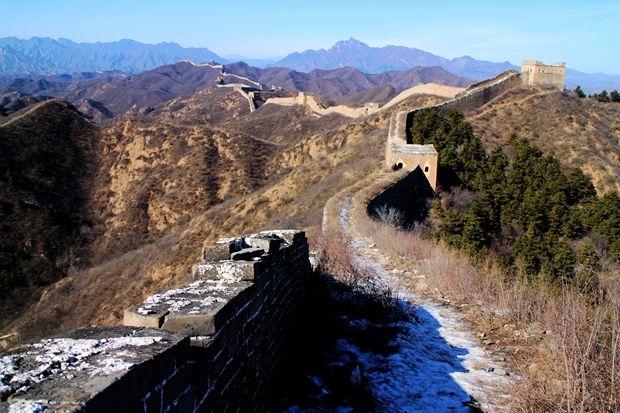 Simatai Great Wall is a fantastic site for sightseeing, hiking and exploration. 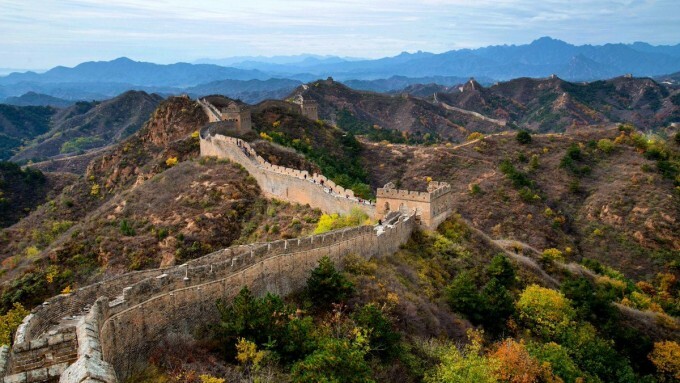 It has been listed by the UNESCO as one of the World Cultural Heritages. 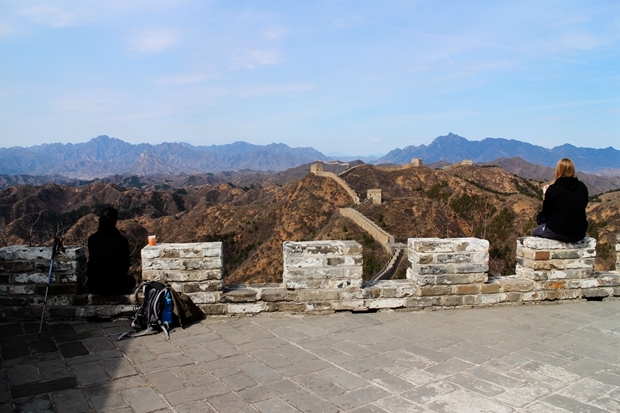 We did a 3-day private tour hiking The Great Wall and it was absolutely amazing. Our guide John was so friendly and knowledgeable, it wouldn't have been the same without him. The farm stay accommodation was also very good. 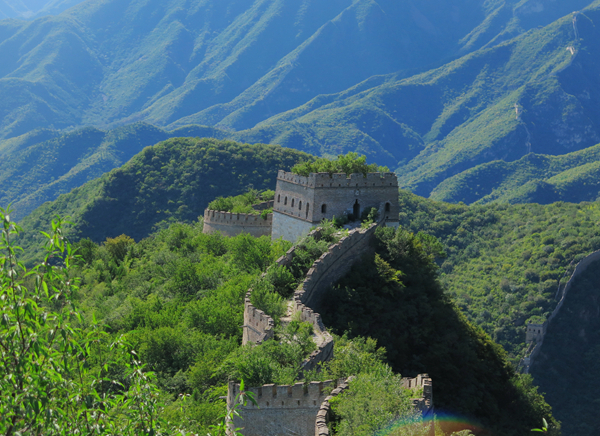 Totally recommended China Hiking to arrange your tour. 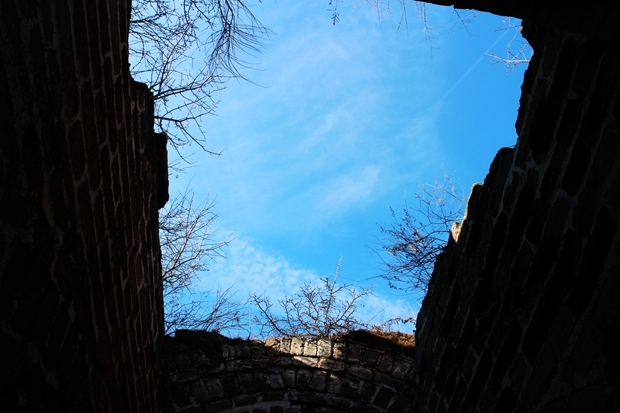 There was a great mix of unrestored parts and restored parts of the wall without the crowds. Everything was perfect and as described. Hiking was a bit hard but i was expecting it. Good guide and goog farmhouse. 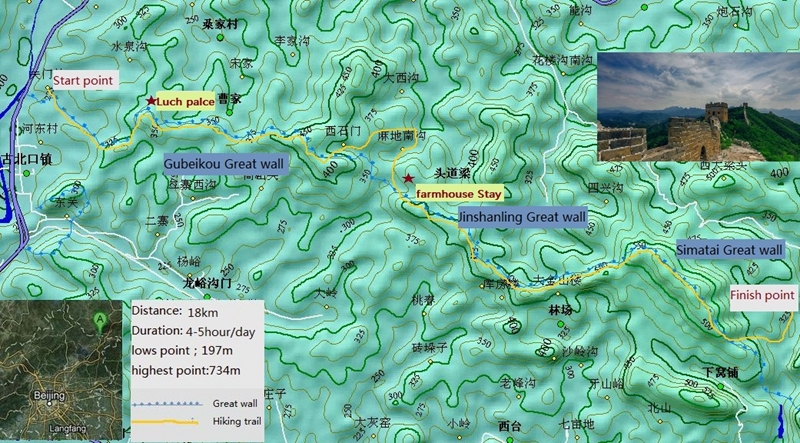 If you want a trekking for the real Great Wall. Go with this people. Real tour, no shopping stops, no business, no commercial. 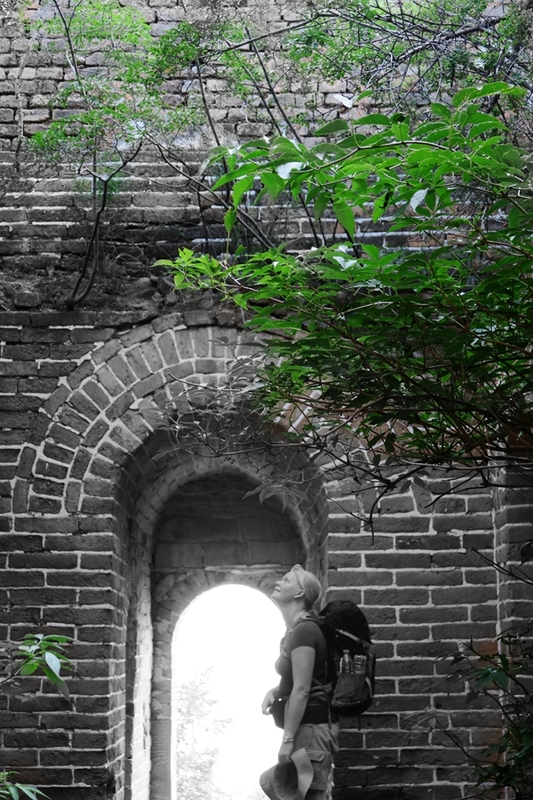 You spend almost all day exploring, climbing and enjoy the nature. 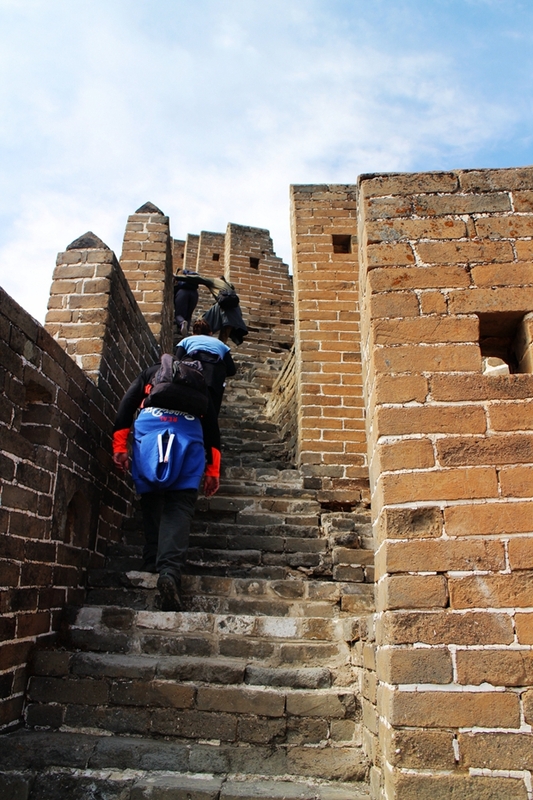 You need to be in a good condition in order to keep walking and climbing the towers. They help you anyways but sometimes is high. The tour guides were amazing! 100% recommendable. Other tours only take you for 2 hours super safe and renewed tower/access of the wall.